Some of the best shows for kids today are on Disney Channel, Disney XD, and Disney Jr. Shows like Star Wars Rebels and Ultimate Spider-Man are good enough to keep most adults captivated while watching with their kids. If you are looking to cut the cord and save money on cable, but are afraid the kids may go “Lord of the Flies” on you when you take away their Disney, then this post is for you. It is now easier than ever to watch Disney Channel online without a cable TV subscription. All Disney Channels are available on three services, Sling TV, Direct TV Now, and PlayStation Vue. Each service offers a ton of pay TV channels aside from Disney. However, if your only interested in watching Disney channels then Sling TV is your best option. Sling TV is a streaming service that lets you enjoy everything the best networks on cable have to offer without having a cable TV subscription. The Sling TV Orange package includes Disney Channel for only $25 per month. There is no contract, so you can carry the service month to month and cancel any time. Sling TV is available on devices like Roku, Amazon Fire TV, Apple TV, and Chromecast so you can watch on any TV in your house. Sling TV is also available on iPhone, iPad, and Android devices so you can watch your favorite Disney Channel shows on the go. If you are interested, you can check out their service through a free 7-day trial, or sign up for 3 months and get a free Roku Streaming Stick. Having Disney Channel through Sling TV is just like having Disney Channel through a cable TV or Satellite provider. They even have a very robust on-demand option for various Disney Channel shows. That means you can watch shows like “Girl meets World”, “Austin and Ally”, and “Liv and Maddie” live as they air. You can also watch on-demand along with other Disney Channel shows from years prior. On-demand options update periodically, but there is always a more than ample selection available. While Disney Channel is available as part of the Sling TV base package, Disney XD and Disney Jr. are available as part of the Kids Extra Package. For an additional $5 a month the Kids Extra package provides access to Disney Jr. and Disney XD. Furthermore, the Kids Extra Package adds non-Disney channels like Boomerang, Duck TV, and Baby TV. This provides you with a means to watch shows appearing on Disney XD like Star Wars Rebels, Gravity Falls, and Penn Zero. You will also have access to shows for your littler ones on Disney Jr. like “Sofia the First” and Jake and the Neverland Pirates. Essentially, everything normally accessible through cable TV on these channels is available through Sling TV. 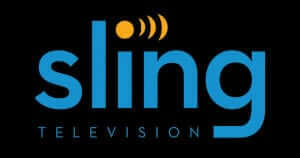 If you want to know what else is available on Sling TV, check out my Sling TV Channel Guide and Review. DirecTV Now – Offers Disney, Disney Jr., and Disney XD as part of their “Live a Little Package” for $35 per month. Check out my review of DirecTV Now for all the channels they have to offer. PlayStation Vue – Offers Disney, Disney Jr., and Disney XD as part of their “Access Slim Bundle” for $29.99 per month. Check out my review of PLayStation Vue for all the channels they have to offer. If you are looking for an option other than Sling TV, it is sometimes viable to purchase seasons of your favorite shows from Amazon. Therefore, instead of watching Star Wars Rebels on Disney XD, you simply buy the entire current season for $20.00. This method makes a new show available one day after it airs on TV. Depending on how many shows you want to stay current with will determine if this is viable from a cost perspective. If your child only cares about 3-4 shows a year, then you only need to spend $80 for the year to keep them happy. You may also want to consider that you own the shows when purchasing through so you can watch whenever and as many times as you want. Sling TV is a better value as it provides access to more than just Disney Channel, but if you only need a few shows then buying them may make more sense than having another subscription service. This method is possible with almost any major show currently on Cable and Broadcast TV. The Watch Disney Channel App requires a cable TV provider login. Therefore, you need a cable TV subscription to use the Watch Disney Channel App. If cord cutters want to watch shows legally on Disney Channel, Disney XD, and Disney Jr., then they will need to subscribe to Sling TV or buy the shows directly from Amazon.